GTA 5 has become an Internet hit and with news of the sales hitting the record books it is set to be the biggest game in history. New hardware such as SSD's Graphics cards and sound cards used in PCs are better than consoles so if the games was ported to PC you would see a large increase in the games graphics, performance and gameplay. A 500000+ strong petition already exists asking Rockstar to port it to PC so there is already a guarantee of many more sales for the company. Piracy is everywhere on the Internet and many console owners have been found to have pirated GTA 5 but if a user on a PC was to play the game it could run through a system such as Steam or another service that reduces piracy. It makes logical sense to release on all platforms as it will catch the part of the gaming community that play games on all platforms and with a game such as GTA 5 most people would buy it for most platforms. 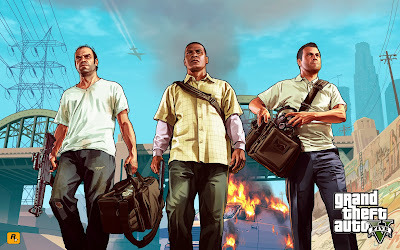 The modding community on on the PC would have a great time with GTA 5 as it already has some great features but with modders in the PC community it could grow the game and make it better than ever. I have tried to cover most of the main points but If you can think of anymore reasons why it should be ported to PC leave a comment.